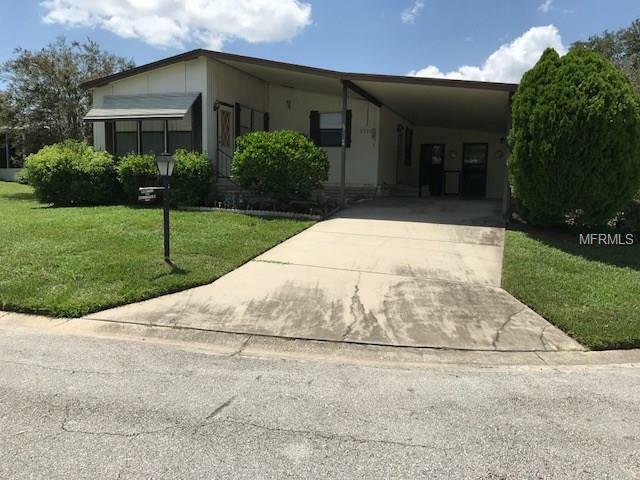 55+ Gated golf course community 2bedroom 2 bath home located in the desirable pet section large covered patio off carport. " NEW CARPORT BUILT TO CURRENT CODES" This home is located on quiet cul-de-sac and has lots of greenbelt area in the back. Perfect for the pet lover. Both living and family rooms. Very clean well kept home. Zellwood Station is located approximately 25 miles north of Orlando. Just 1/2 mile is the new entrance ramp for the 429 western expressway, which allows for easy access to downtown Orlando, the International Airport, and all the area attractions. There are grocery, medical facilities and many churches nearby. Free from the traffic of Orlando but easily accessible to everything a big city has to offer. This home won't last long. Come out and enjoy the good life today.